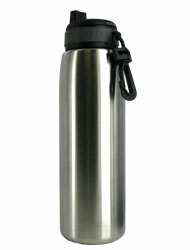 This all stainless steel bottle is not only sleek and stylish, but reusable again and again. 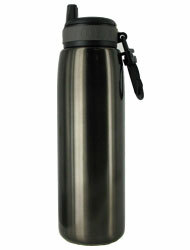 Reduce use of one time plastic by carrying your own fresh water in this 26 oz. bottle. The polypropylene sport cap makes it easy to stay hydrated and the cap features a quiet valve that allows a high flow of water.